This is a Koji Hara custom double guard FIGHTER fixed blade. 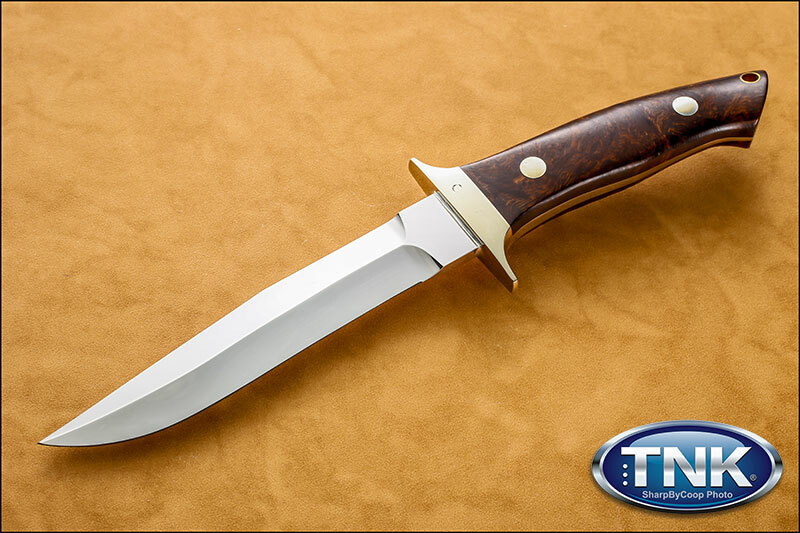 It features a mirror finish with Desert Ironwood handle. Thonghole. Leather sheath. Nickel Silver guard and pins. Tapered tang.